As Canadian Certified Pedorthists, we carefully evaluate the way our patients walk, as it is one of the main contributing factors to foot and lower limb issues. When patients come to us for their initial consultation, one of the most important things we do is a gait assessment. During the gait assessment, we look at all aspects of a patient’s lower limb, including foot, ankle, knee, and hip alignment and function. One aspect of the evaluation is assessing if the foot rolls during walking. Overpronation occurs when a person’s foot rolls excessively inward, causing the arch to elongate and collapse and the heels to lean toward each other. 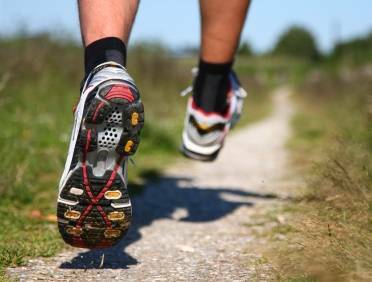 Oversupination, or underpronation, occurs when a person has feet that roll outward too much, often accompanied by a high arch in flexible feet and poor shock absorption when they walk. Both of these conditions can lead to a number of painful problems, including heel pain, or plantar fasciitis, lower back pain, shin splints, stress fractures in the foot or lower leg, and many other injuries. Overpronation and oversupination don’t always result in immediate medical problems, but if people who have flat feet or high arches experience lower limb pain, they should book a consultation with a foot expert such as a Canadian Certified Pedorthist. As well, it is particularly important that people who overpronate or oversupinate visit a pedorthist if they get injured, as their poor foot mechanics may make their recovery more difficult. A pedorthist will advise them on appropriate footwear and whether an orthotic or modified footwear can help in their recovery process.